A sermon preached by Christopher L. Webber at All Saint’s Church, Haight-Asbury, San Francisco, on August 6, 2017. I wonder whether any of you have climbed Mt Fuji – Fujiyama – Fuji-san? I did it many years ago and I bring it up because this morning’s gospel takes us to a mountaintop in Israel and I’ve been there too. But when I climbed Fuji-san, I walked. When I went up the mount of vision in Israel, I got there in a car driven by a man who had done it so often that he went zooming around hairpin curves as if he were dealing with Interstate 80 in Kansas. So there are two mountains, each with a commanding view, and how you get there can make a big difference in your experience of it. I wonder whether for most people It isn’t the climb that matters more than the view. People don’t come back from Everest talking about the view but about how they survived a land slide or had their tent blown away. The view, when you get there, isn’t that different from the view from any other peak in Tibet and you can get a better view much more easily from an airplane. I didn’t come back from Israel talking about the view from the top but the kamikaze driver who got us there. 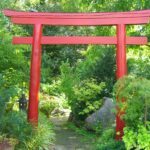 What the torii does, as I understand it, is to recognize that Lord-ship: to give definition to something basic to being human. Human beings seem to have an innate sense of something more to life than biology. We live, we reproduce, we die. So do other animals. But so far as we can tell, other animals generally go about their assigned job without worrying a lot about questions like “Why?” We have a cat that eats two meals a day, lies in the sun when she can find it, climbs into my lap occasionally – most often when I’m working on my lap top – tears paper apart if she can find some, and otherwise just naps. Dogs do what dogs do and cats do what cats do and whales do what whales do but human beings do zillions of things that have nothing to do with our material, animal existence. We play golf, we listen to music, We read books. 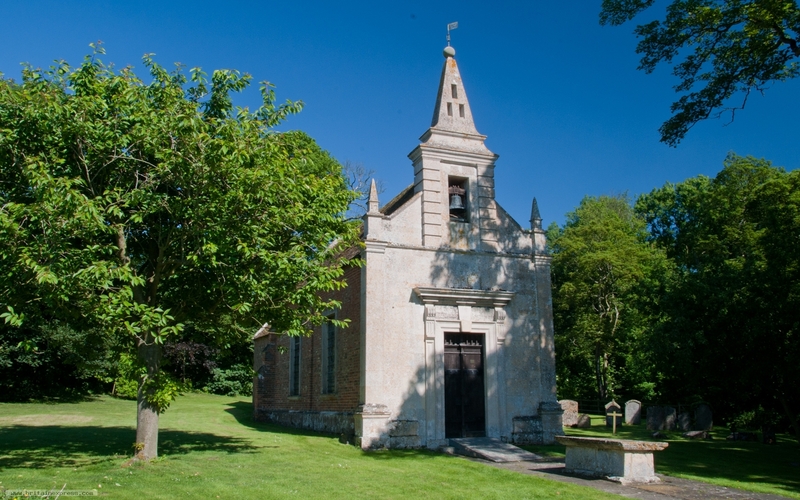 We go to church. We climb mountains. We do things that are inexplicable, counter-intuitive, and really useless in terms of their contribution to our animal existence, our material well-being. We elect Presidents and members of Congress. What does that do for our well-being? But I digress. The point is that very often we do things hard to explain logically but we do these things because they are satisfying in some strange way. They appeal to us in a way we often find hard to explain. Human beings apparently have a sense of something more, something beyond, something other, something that gives life a larger meaning. 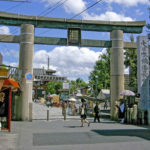 Now, the torii, as I understand it, frame places, objects, scenes that awaken that sense of something more. 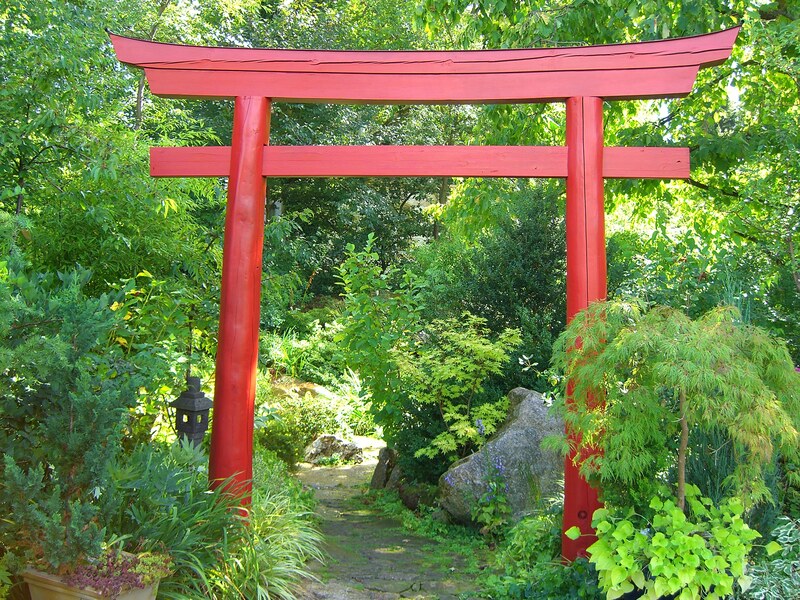 Some use the word “numinous” or the more familiar word “holy.” The torii frames an entrance to the holy. 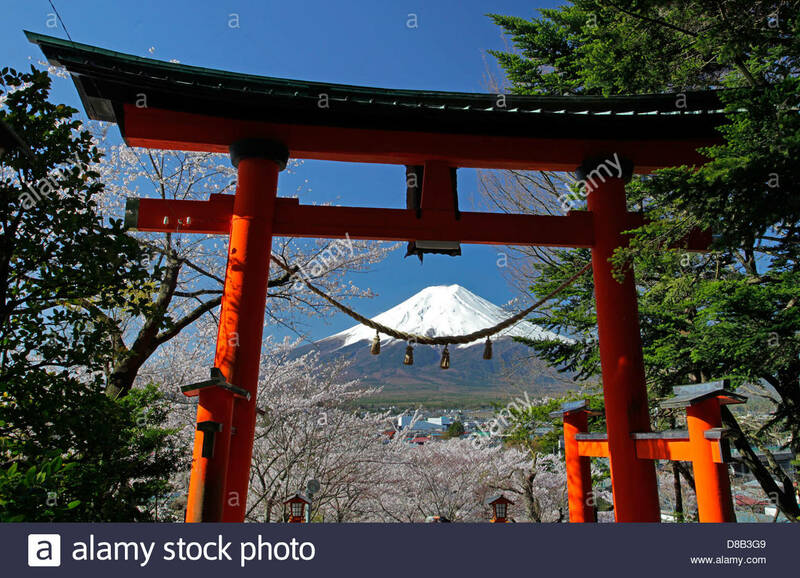 It can, of course, be simply the gateway to a shrine, but also it may frame a scene that is somehow evocative: it evokes, it “calls out” some other aspect of your being, that holds your attention, that makes you thoughtful. The snow-capped volcano, Fuji-san, rising out of the plains is a place that inspires awe and wonder. They say it’s a wise man who climbs Fuji once; it’s a fool who climbs it twice. But the vision inspires. So does a tree, especially a gnarled and twisted tree or a bonsai, or a lake or a rough stone. So the instinct is to frame it. Erect a torii. Call attention to it. Challenge others to see what you see. 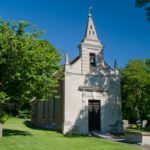 Every human society, so far as I know, has developed some way of responding to that sense of something more—a pattern of worship, a building with a spire or minaret—some way of recognizing, developing, and institutionalizing that sense of what we call “the holy.” “Kami” is the Japanese word and that’s a word that has a broad range of meaning. It troubled the early missionaries in Japan because in translating their faith into Japanese they needed a word for “God” and kami seemed too vague, too impersonal, too general. The God of the Bible is not vague at all. The Biblical God gets involved very specifically in human events, acts in history. The first Roman Catholic missionaries to Japan tried to import the word “deus” from the Latin because it was specific – but deus has problems too. All the Greek and Roman deities were “deuses,” dei. So, yes, it’s specific but it can be specifically wrong. It might just mean one of those mythical deities that the Hebrews refused to honor even if it cost them their lives. 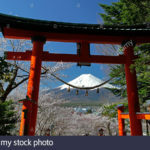 So the Anglican missionaries and most other churches have been content to go with “kami.” It has its problems, but it can be redefined to connect with the God of the Bible, to take on more specific meaning. And also it creates common ground with Shinto and that’s important. After all, the kami of Japanese tradition is a sense of the holy and the sense of the holy connects us also to the God of the Bible who calls us to be holy also. But the gospel this morning is about more than a mountain climb and a sense of exhilaration, separation, bring lifted up and separated, because the three apostles in the story are not looking down at the world or even up toward heaven. No, they are looking at Jesus and seeing him, seeing who he is, as if for the first time. 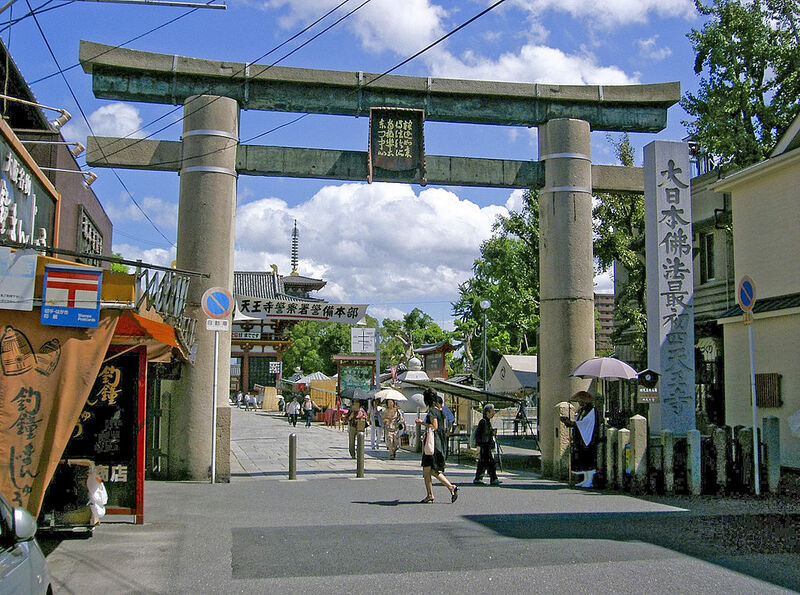 It’s as if he becomes for them in that moment the gateway, the torii, the door through which, or through whom, we come closer to the kami, the very specific holy God, Creator, Redeemer, Sanctifier, Savior. And this is critical. Yes, there are places and buildings that give us a sense of the holy but the holy God we worship is not an object or a “force” as some like to say, but a personal being, a God most fully revealed and known in a human life, in Jesus, who calls us to respond with the full offering of our life to a living God whom we can call Father, or Mother if you prefer, but to a being beyond any idea of person we can have and yet, none the less, at the very least also personal – a God to whom we respond as person to person – possibly more than that, probably more than that, but nothing less than that, personal at the very least and made known most fully in the person of Jesus Christ. It’s too bad, I think, that we can’t put the gospel reading this morning in context by reading on to see what came next. When they came down from the mountain, two things happened: they came to Jesus with a paralytic boy and asked for healing and they came with a question about taxes. The next two stories in the gospel are about taxes and health care. If that sounds like the evening news, that’s exactly the point. If God is present to be encountered in Jesus, then Jesus is not here to separate us from the world, to give us a break from all that, but to transform that too by entering it, coming into it to heal and transform – to transfigure not Jesus alone but this world also with all its narrow and limited agenda. Can you imagine what would happen if the members of Congress would pause for a moment and think about what they are doing in the light of the Transfiguration? And we are called to be his agents. What we are called to do is to be people who carry God’s light and peace down from the mountain top, out of our churches and places of prayer, into the dark places, the hard places, where the holy God is most needed and also very often found. So we ground our lives, yes, in times like this when we can come away briefly from all that, but we go back out through the doors of this place as if we turned the torii around or as if we passed through it from the other side with the kami, the special holy place, not only behind us but moving out in us into the world, coming through the torii in the other direction so that what is framed now is not the set apart sacred space but the everyday world – the cars going by, the stores open, the buses and taxis, and Jesus there, the kami there, divinity there, God present there, as truly as God is here, the holy God, present, incarnate, in you.